As Ghash.io’s total hashrate approaches the feared 51% mark, there has been no official word from the pool’s operating exchange, CEX.IO. Data from Blockchain.info indicates that Ghash.io’s hashrate has been fluctuating between 40% and 50% of the network’s total over the course of the week. Jeffrey Smith, CIO of CEX.IO tweeted on 11th June that the company was planning to release an official statement. He also reassured bitcoiners that he was aware of the situation at hand and did not intend to harm the community. I want everyone to know – we are aware of the 51% on @ghash_io We would never harm the community. Our official statement is coming soon. While Smith may understand the repercussions of his pool approaching the 51% mark, the exchange has not released a plan of action to mitigate the threat. However in correspondence with CoinDesk, Smith said they were still working on a strategy. @roopgill Hi! We are working on the solution as well as the statement. As soon as it is released – you’ll be the first one to know. 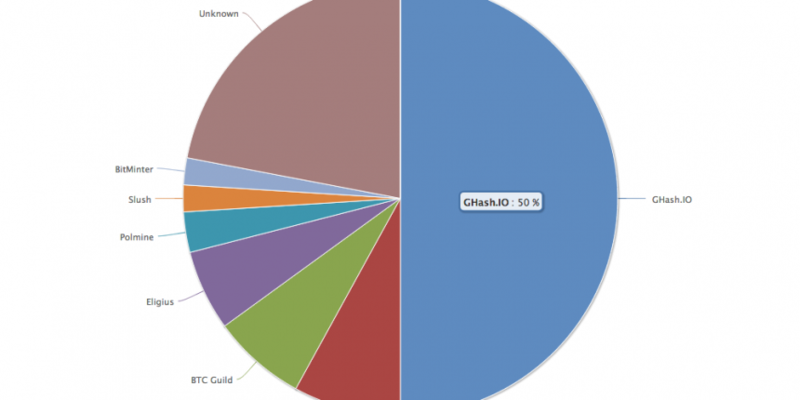 In a similar episode from January 2014 where its total hashing power hit 42%, Ghash.io released an statement outlining its plans to reduce its network share. According to the press release, the exchange temporarily stopped accepting new independent mining facilities to their pool. They also said they were implementing a feature allowed CEX.IO users to mine bitcoin from other pools. 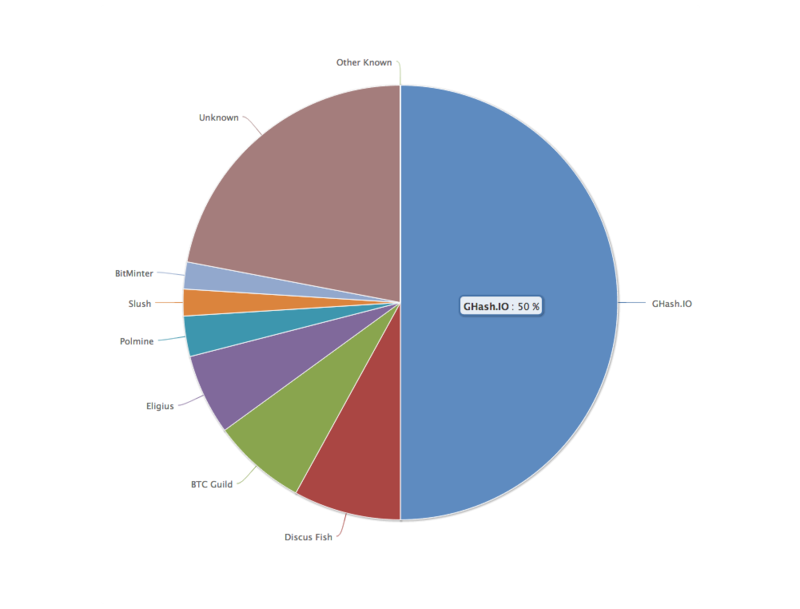 Many bitcoin miners around the world also started leaving the Ghash.io bitcoin pool following this news. Within a day Ghash.io’s mining power dropped from 42% to 38%, according to Blockchain.info. Theoretically, a 51% attack would occur if one entity managed to gain control of more than 50% of the network’s computer power. Such an attack could allow the attacker to reverse transactions they have sent, make double-spend transactions, prevent confirmations or even prevent other miners from mining valid blocks. It would corrupt the block chain and render the entire system unsafe. However, this is speculative and has not been done before. In January, Blockchain’s chief security officer Andreas M. Antonopoulos explained at a bitcoin meetup in Los Angeles why he is not worried about a 51% attack. Ghash.io is owned by CEX.IO, a London-registered bitcoin exchange which was one of the first cloudhashing services to gain popularity. Ghash.io has been around for over a year and gained popularity among miners for its 0% fee structure. Miners can also buy mining contracts from CEX.IO. These features have made the pool extremely popular, contributing to its potential 51% hashing power.